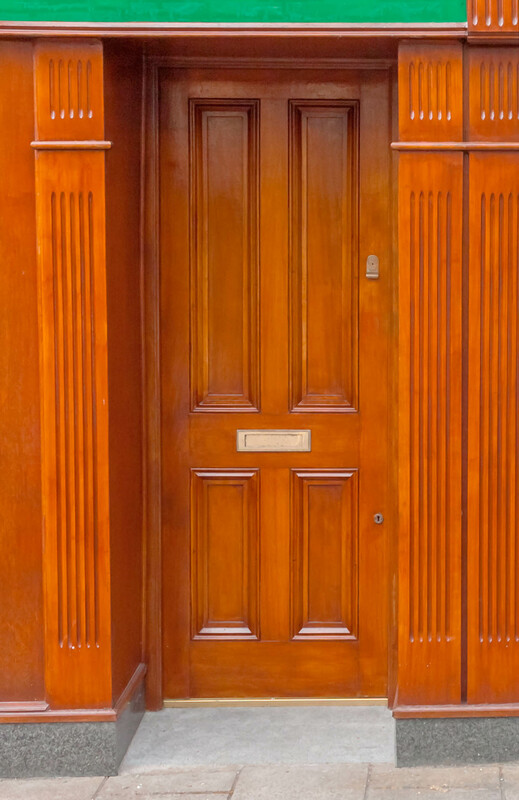 This varnished hardwood shop front was completed almost a decade ago. It still looks as good today as the day it was fitted. 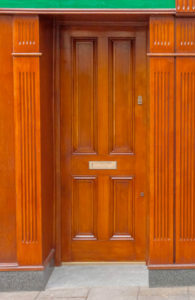 We achieve this through selecting only the best kiln dried hardwoods and using the most durable manufacturing methods. The large window gives ample advertising space for this auctioneer. 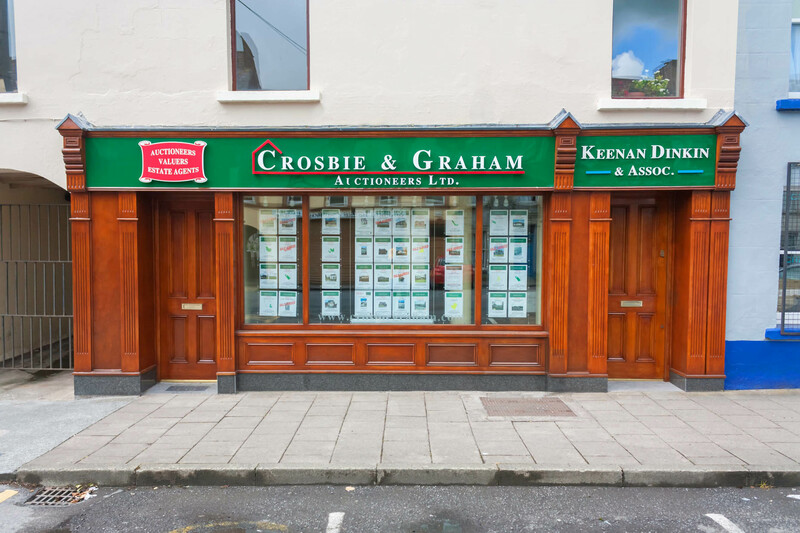 Also the central window location with doors either side creates a symmetry that can be very effective at drawing the eye of potential customers. 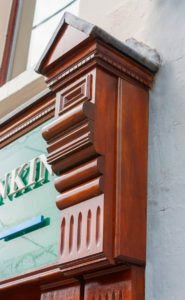 The detailed molding in the Georgian panel doors and hardwood corbels really adds a touch of class to an already inpressive shop front. 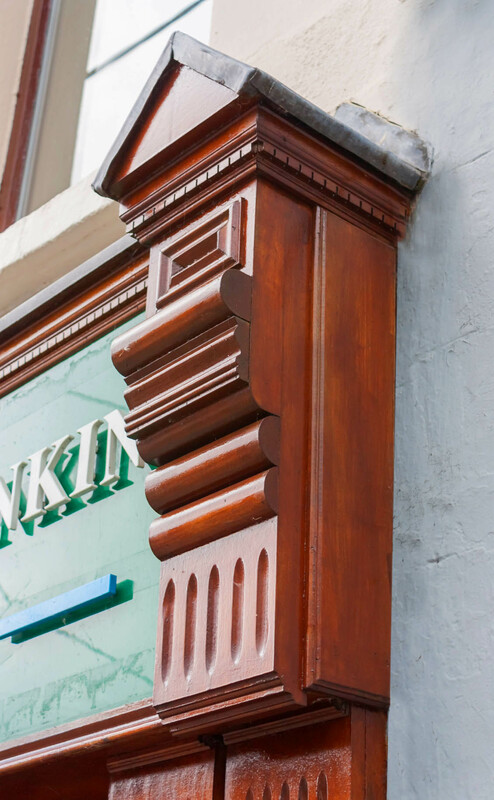 Varnished hardwood shopfronts with a traditional design are an effective and stylish way to stand out from the competiton. 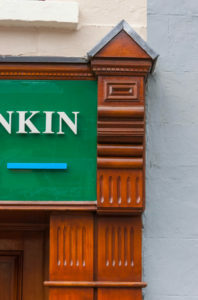 Don’t settle for poor quality materials that will mean your shop front will need replacing long before a decade has passed. If you have a shop front project and are looking for the best quality designs and materials that will stand the test of time, contact us today.